Insurance is unlike any other product out there - you pay for it and hope you never have to use it. And that makes paying more than you need to that much more uncomfortable. 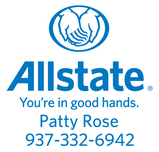 With a policy from Allstate, you can help keep your insurance costs low with the wide variety of discounts we offer. Keep in mind, not all discounts are available in every state. Our knowledge and understanding of the people in the our community help us provide customers with an outstanding level of service. We look forward to helping families like yours protect the things that are important – your family, home, car and more. We can also help you prepare a strategy to achieve your financial goals. High-end service or comfort in your home. Dave's Services Heating and Air Conditioning, was founded in 1984 by Dave Denoyer, a life long Troy Ohio resident. Dave's Services Heating and Air conditioning has been proudly serving the Troy Ohio, Piqua and Tipp City area's for 28 years. We have Built a large customer following through hard work and determination, something which has allowed us to become the company we are today. We've grown to become the largest independent Bryant dealer in the Troy Ohio area, offering a full range of Bryant heating and air conditioning products and equipment, including gas furnaces, air conditioners, thermostats, humidifiers, heat Pumps, air handlers, and more. In addition, we offer flexible payment options through the Bryant Retail Financing Program. This makes it easier for homeowners to invest in a cost-effective, energy-efficient heating and cooling system without breaking the bank. At Dave's Services Heating and Air Conditioning we service and repair all makes and models and offer after-hours service. In need of Service? Call us Today 937-335-1423. Our Service area is Troy Ohio , Piqua, Covington, Fletcher, Tipp City, West Milton, Ludlow Falls, Sidney, Pleasant Hill and all of Miami County Ohio. David Fair On The Square and Davis Fair Interiors offer high-end consignment items, interior design, and permanent silk florals. Located in three buildings in the beautiful historic district of downtown Troy, there is something for everyone! Shop with us Monday - Saturday, 10:00-5:00pm. The Fitness Institute of Troy is more than just a Health Club. FIT is a Gym that offers Personal Training, TRX®, Strength Conditioning, Spinning®, 120 Days to Fit, BootCamp, Speed, Strength and Agility (SSA), and Far Infrared Sauna as well as an established Hair, Facial and Nail Salon. Located downtown Troy at 101 West Franklin Street, FIT resides in a historic First Baptist Church that was built in 1855. The original stained glass windows still illuminate the main gym that is home to the highest caliber of fitness equipment in the industry. We offer gym memberships starting as low as only $19/month with no contracts. Contact us for more information at 937-552-9682. Locally owned small bulk food store, featuring dried fruits, nuts, flours, soup mixes, candy, spices, pasta, rice, grains and popcorn. There are also many product lines that feature gluten free and healthy choices. Stop in for some hand-dipped ice cream and fresh made sandwiches! In this day and age there is a growing need for sustainably-sourced local foods and at TMS no one understands this more than we do. Whether it be flora or fauna it is becoming necessary to find quality foods. along with raising our own beef and pork we network extensively with local growers and farmers to find the most natural and highest quality foods. Starting in April of this year we will be sourcing a variety of produce from local growers as well as our meat selection. All of our produce is sourced from within a days drive and is grown in the most natural ways possible. We are a young business and are growing everyday with the help of happy healthy customers like yourselves. We have appreciated the last few years of patronage and are looking forward to the expansion of Troy Meat Shop in the years to come!